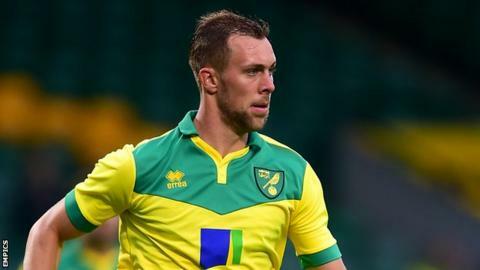 Norwich City winger Nathan Redmond has said he felt sorry for team-mate Steven Whittaker after he was jeered by fans. Whittaker, playing in an unfamiliar midfield role, was on the receiving end of boos and ironic cheers from Canaries supporters while being substituted in Saturday's 2-1 loss to Brentford. "It's not a nice feeling," Redmond told BBC Radio Norfolk. "It's never nice when a player gets booed off, especially when it's someone you work hard with day-in day-out." Whittaker, 30, is a recognised right-back, but injuries to Gary O'Neil, Alex Tettey and Vadis Odjidja-Ofoe, and Jonny Howson's suspension, saw him pressed into service alongside Bradley Johnson in the middle of the pitch. The Scot, who gave away the ball in the build-up to Brentford's opening goal, felt the ire of sections of the Carrow Road crowd when he was taken off with 11 minutes remaining. "I've experienced it myself. One game you're going to be brilliant and then next game you're not so great. I guess you have to take it with a pinch of salt," said Redmond. "It's like a family here, so it's like watching one of your siblings getting booed off. If it were to happen to me I'd want the ground to swallow me up." Norwich's 2-1 defeat by Brentford was boss Alex Neil's first in his three games in charge, and left the Canaries four points below the play-offs.